The Diamondback Overdrive is one of Diamondback‘s most popular hardtail mountain bike lines. The reason is that the bikes are affordably priced and the bang you get for your buck is excellent as well. In total, there are four models in the Overdrive series, which are either entry-level or mid-range models. The Diamondback Overdrive 29 models are excellent both for the ultimate beginners and for those who already have some experience on the trails and want to upgrade to a better model. As you can guess from the name, all of them have 29″ wheels, which are getting quite popular on XC bikes nowadays. Overdrive 29 1 — The cheapest, basic, beginner model. Aluminum frame and entry-level Shimano components. Overdrive 29 3 — Mid-level aluminum model. 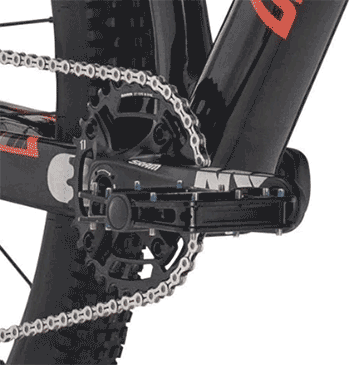 Has a set of decent SRAM components and Rockshox suspension. Overdrive 29 2 X — High mid-range aluminum model. Offers better SRAM components and better suspension. Overdrive 29C 1 Carbon — The most expensive of the four. 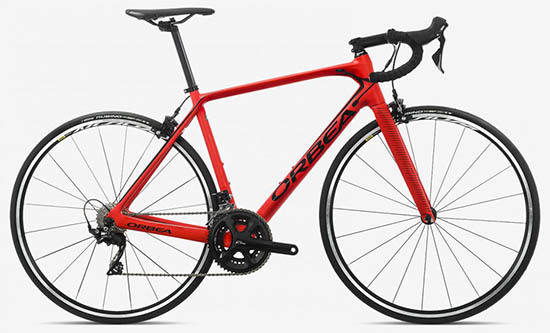 High-grade carbon frame with decent SRAM components. Let’s take a closer look at each of these, learn about their features, and determine which one is the most suitable for you! 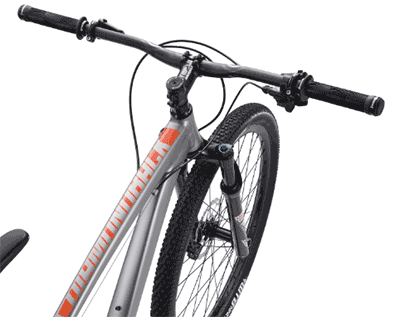 The Diamondback Overdrive series are affordably priced XC trail bikes. 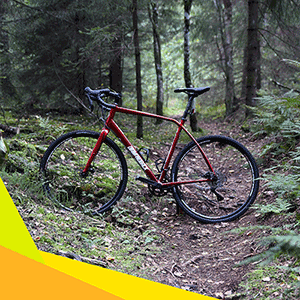 They are aimed towards the average riders out there who are interested in mountain biking for recreational purposes. All of these bikes have very steep geometry. The head tube angle on all four is 71 degrees, which puts the rider in an upright riding position. The center of the front wheel is right below your hands, so you will have good control of the bike. Depending on which model you choose, you will either get Shimano or SRAM components. The cheapest model is equipped with an entry-level Shimano groupset, whereas the more expensive ones have mid-range SRAM groupsets. When it comes to suspension, all four Overdrive models are hardtail bikes. The travel is the same on all models — 100 mm — but the forks themselves differ. A bit more money will get you a higher-quality fork with more possibilities for adjustment. Disc brakes are a given on all four models, as well as 2.25″ tires. However, a higher price tag will provide you with hydraulic discs instead of mechanical ones. Moreover, the tires differ as well, so if you opt for one of the more expensive models, you’ll get more durable tires. 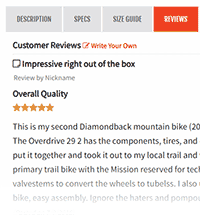 The Diamondback Overdrive 29 1 bike is the cheapest of the four models in the series. However, that does not make it a bad choice. On the contrary, it is proof that quality bikes do not always come with a high price tag. If you are a beginner and you want a bike that will be your entry ticket into the XC world, then this model is a foolproof choice. Considering that this bike costs around $550, you will be quite happy with what you get. Moreover, with little maintenance and moderate abuse, you will have it and ride it for years to come. The 6061-T6 aluminum frame is lightweight and robust, and the lines look attractive as well. The lines are smooth and fluid, and the geometry puts the rider into a more upright position. The head tube angle is 71 degrees, which is quite steep. Thus, you can expect to have a lot of control when cornering and have a good overview of the trail in front of you. The SR Suntour XCT30 fork gives you 100 mm of travel on a coil spring. This is more than enough for any moderate trail rides. You’ll also get some comfort and stability from the wide 2.25″ tires. A pleasant surprise on the Overdrive 29 1 are the mechanical disc brakes and Shimano components. Disc brakes will give you all the stopping power you need on the trail and Shimano components, even though entry-level, still shift and work smoothly in most conditions. 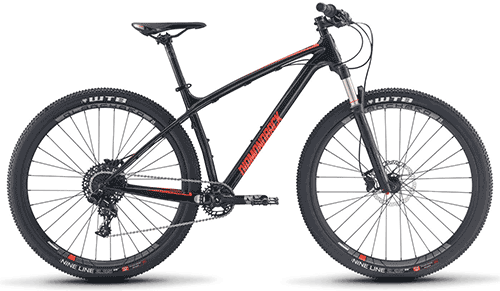 Therefore, if you are looking to buy your first hardtail mountain bike to ride on the local trails or enjoy some fire roads, Diamondback Overdrive 29 1 is the obvious choice! The Overdrive 29 3 is an excellent aluminum mid-level hardtail machine that can smash trails even though it does not have an outrageous price. The frame is made from the same material as the one on the cheaper Overdrive 1 model. This is standard practice because this aluminum alloy has lots of strength and weighs very little. I quite like the paint job, even though you cannot choose from several colors. You’re stuck with silver, but it looks modern and fresh. But, good looks are definitely not the only quality of the Overdrive 29 3 model. Compared to the cheaper model, it has a lot of upgrades. To start with, the fork is much better and will give you a lot more capabilities on the trail. The Rockshox Judy Gold is an air suspension system with 100 mm of travel. Therefore, you won’t need to hold back on the aggressive bits of the singletracks, but you can comfortably attack them. Moreover, the components and the drivetrain are provided by SRAM. In this particular case, you’ll get SRAM NX, which is a decent mid-range option. The biggest highlight on the Overdrive 29 3 is the 1×11 drivetrain which has a lot of advantages and is usually seen on more expensive bikes. Good things do not stop there. Overdrive 3 has hydraulic disc brakes, so feel free to ramp up the speed on the flat parts and downhills since you’ll easily slow down in time for the corners. When you’re in the corner, you can rely on the WTB Nineline 2.25″ tires to give you more grip than you’ll need. To sum, this is an excellent bike, with decent specs and an attractive price. If you’re a recreational rider and a trail lover, this will be a good purchase for you. In case you’re looking for something with a higher spec profile, you should keep reading. The Overdrive 29 2 X has a lot in common with its Diamondback cousin Overdrive 29 3. 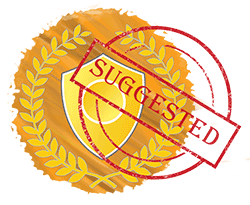 However, for a little bit of additional money, you get several vital upgrades. Therefore, it is worth saving up a bit more and paying the $100 extra. At first glance, the two bikes look very similar, but this model attracts more attention because it has the recognizable Diamondback Red paint job. The head tube angle is the same, 71 degrees, so it’s definitely on the steep side. This makes the bike a great climber and very nimble and responsive on the windy bits of the trail. Now, the big question, why should you pay extra for this model? The two main reasons are the fork and the groupset. For $100 additional, you can get a superior Rockshox Reba RL fork, with a 32 mm stanchion and 100 mm of comfortable travel. 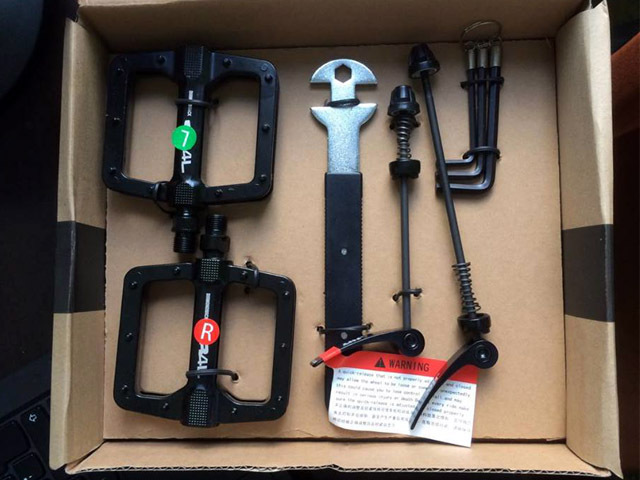 This model of fork features both rebound adjustment and remote lockout, so it’s suitable for versatile rides. The SRAM NX components are definitely good, but Overdrive 2 X comes with an SRAM GX X-Horizon groupset which is definitely superior. It features a 1×11 drivetrain, which is light and offers wide-range gearing on an 11-42T cassette. Other than that, everything else is the same, which is not a problem, since you’re paying just a hundred bucks more. 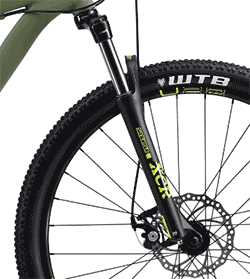 The 2.25″ WTB tires are going to do even better on the trail thanks to the improved suspension. The same can be said for the brakes, which have 180/160 mm rotors. An XC bike is a harmonious machine, so improving one of its segments improves all others as well. 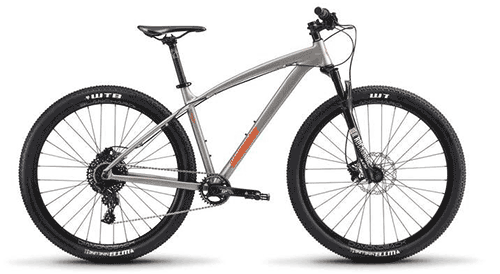 So, if you want a powerful and affordable trail mountain bike that offers some excellent deals for a little upcharge, we recommend the Diamondback Overdrive 2 X model. It’s great both for recreational riders, beginners, and those with higher aspirations. Dadumm! Finally, we get to the star of the show! The Diamondback Overdrive 29C 1 Carbon. Intended for those who want to cut weight down as much as possible and power through the climbs. Carbon as a material is also much stiffer than aluminum, which makes it much more responsive. Your power when pedaling will not dissipate as much. Carbon XC trail bikes are not easy to find at this price point, so it’s interesting how Diamondback did it. Did they save on some other components? Actually, not by much. Overall, this bike has a very good combination of parts. 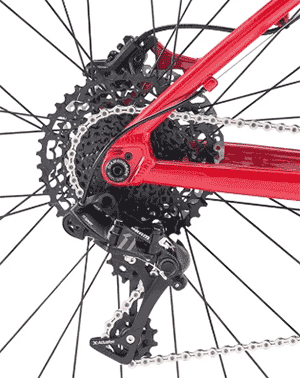 The groupset on the Diamondback Overdrive 29C 1 is SRAM NX Horizon, which is just below SRAM GX in the hierarchy. However, both of them perform almost the same. The difference is that the GX groupset is slightly lighter than the NX. But, you still get a much lighter bike overall because of the carbon frame. The fork on this model is Rockshox Recon Gold, which is one of the most popular front suspension choices nowadays. It is characterized by 100 mm of travel, external rebound adjustment, and low-speed compression to lockout adjustment. So, you can easily set it up depending on the type of terrain you’re riding on. Like the previous two models, this carbon Overdrive model has a standard 1×11 drivetrain, the same rims and tires, the same saddle, and Shimano MT315 brakes. So, it seems that what you get for the extra money you pay, compared to the Overdrive 2 X, is the carbon frame. If this is important for you, we recommend this purchase because it is a great deal overall. 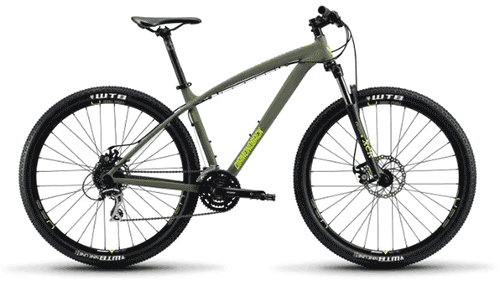 The carbon frame makes a big difference on the trail, especially when pedaling and when taking sharp turns. If you’ve set your mind on purchasing one of these beautiful bikes, take a moment to see what’s available on Amazon as well. If you type “Diamondback Overdrive” in the search box on Amazon, you will get lots of results for these four models and some other Overdrive models that are not available on the official Diamondback website. …And many others. Most of them come at a lower price than the four models on the website. So, if you want to save some money, they are worth checking out. Of course, most of them have cheaper components, but there are some models with almost the same spec profile like the official 2019 models. You can get some great deals with fantastic reviews. Many of these are models from previous years, by they come at attractive prices. You can also choose between 29″ models and 27.5″ models, which were previously available on the main website. If you are a shorter rider or if you like the performance of 27.5″ wheels, these will suit you well. 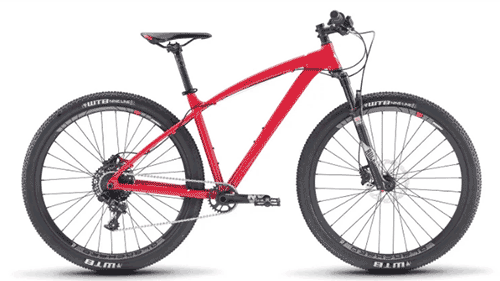 A big advantage when it comes to buying Diamondback bikes is that they offer a complete size guide for each model and each size. This is not something that all bike manufacturers do. Therefore, by looking at this table, you will know what the exact dimensions of each part of the frame are. This can come in handy especially if you did a bike fit before, so you can compare your recommended dimensions to the ones on the Diamondback website and choose the right size. Moreover, you can use an online bike fit calculator to get the same approximate dimensions, which you can then compare with the ones of the model you’re interested in. When you purchase a Diamondback bike, it will reach your home partially assembled. This makes the assembly process very fast and simple for you. If you already have some experience with riding and assembling bikes, you can ride your new Diamondback after around 30 minutes. However, if it is your first time, you can finish the assembly in a couple of hours. If you need help, Diamondback has made a ton of assembly videos and guides to help you out with the process, so it’s difficult to get it wrong. 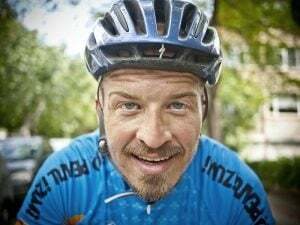 However, if you’re not confident in your skills, or you do not want to take any risks, you can simply take your new bike to a LBS, and they’ll do it for you. However, the assembly process is a great way to get to know your bike more, learn how it functions, and become familiar with all of its parts. Diamondback Overdrive bikes are quite popular because they are intended for mid-level riders, who make the majority of customers out there. Therefore, you can find a lot of reviews of these bikes online. Most of them are positive and point out that the Overdrive series is a great choice both for beginner and recreational riders. What we can conclude from the majority of the user reviews is that riders like the components and the suspension the most. The SRAM NX and GX groupsets have proved well on the trail. They’re precise and smooth and can take plenty of abuse and beating. The Rockshox suspension also performs really well according to them. It can deal even with the more demanding parts of the trail. It seems that the biggest complaint is that the Overdrive 29C 1 has a slightly lower-level SRAM groupset and a lower-level fork. However, this is where the savings were made to offer the carbon frame at a more than competitive price. Therefore, we can’t complain too much about it as this is common practice with bike manufacturers. Overall, we really like the Diamondback Overdrive series. 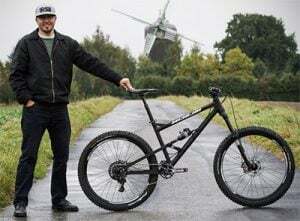 What we like the most is the Diamondback’s intention — to provide beginners and recreational trail riders with reasonably priced hardtail bikes. The result is a group of four well-balanced models, which do not make big savings on components and test really well in the real world. We encourage you to take them for a ride and see for yourself. Now that you know all there is to know about the Diamondback Overdrive series, it’s time to choose the perfect model for yourself. This is not difficult to do, as each of these models is unique and has something different to offer. For example, if you are a beginner and you’re looking to buy your first trail bike, the Overdrive 1 is great for you. It has a good build and decent entry-level components. Plus, the price is just right as well. However, if you want a more capable machine to improve your mountain biking skills, Overdrive 3 is a good choice. You won’t break the bank, but you’ll get high-quality SRAM components. But, if you have an additional $100 banknote to spare, you should definitely do it and get the Overdrive 2 X. You’ll get a better SRAM groupset and a better Rockshox fork, which are a bargain at this price. Finally, the Diamondback Overdrive 29C 1 is the logical choice if you want to buy a high-quality carbon frame in an affordable package. It gives you the option to upgrade the components later on since the price of the bike is very competitive.